Illinois is the 25th most extensive and the 5th most populous of the 50 United States, and is often noted as a microcosm of the entire country. With Chicago in the northeast, small industrial cities and great agricultural productivity in central and northern Illinois, and natural resources like coal, timber, and petroleum in the south, Illinois has a broad economic base. Illinois is a major transportation hub. The Port of Chicago connects the state to other global ports from the Great Lakes, via the Saint Lawrence Seaway, to the Atlantic Ocean; as well as the Great Lakes to the Mississippi River, via the Illinois River. For decades, O’Hare International Airport has ranked as one of the world’s busiest airports. Illinois has long had a reputation as a bellwether both in social and cultural terms and politics. Name of Illinois corporation must be distinguishable from the name of any existing entity or reserved or registered names. Turnaround time: About 9-12 business days. Expedited 24 hours filings is available for a fee. Time to file: Annual Reports must be filed by the first day of the month that marks the anniversary of incorporation. The the fee is $75 plus an amount that is calculated based on paid-in capital. Corporations may also be required to file a Cumulative Report. 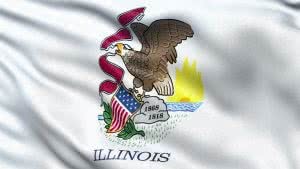 Name of Illinois Limited Liability Company must be distinguishable from the name of any existing entity or reserved or registered names on file with the Secretary of State. Company Express willl research your company name to make sure it meets Illinois’ standards. Turnaround time: About 10-15 business days. 24 hours expedited filing is available for a fee. Time to file: LLCs Annual Report must be filed before the first day of the month that marks the anniversary of formation. The state annual report fee is $250.